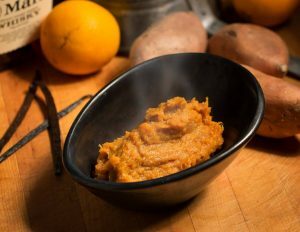 During the past 17 years, one of our most requested recipes has been our Bourbon and Vanilla Mashed Sweet Potatoes. This incredibly popular, delicious dish gives an added sparkle to any holiday table. 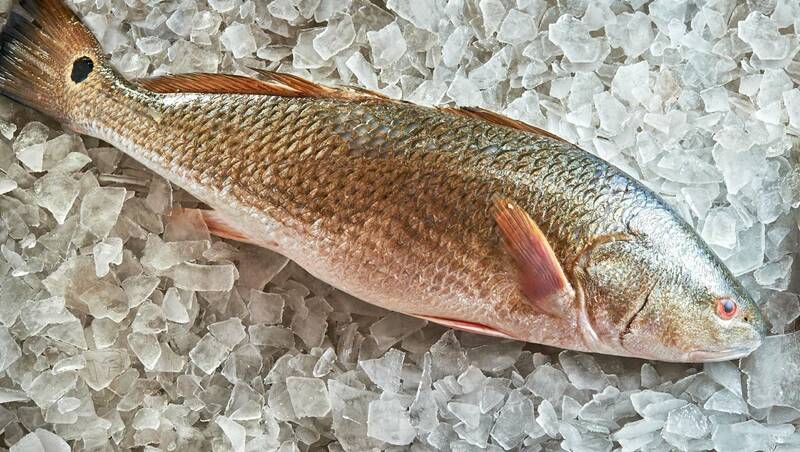 Bring the water and 2 teaspoons salt to a boil, add the potatoes and cook until tender – about 15-20 minutes. While the potatoes are cooking, in a separate pot, combine the cream, honey, brown sugar, split vanilla bean, bananas and orange juice. Bring to a boil and cook on high for 5 minutes. Scrape vanilla bean and either puree the mixture with a mixing wand or mash well with a potato masher. When the potatoes are tender, drain well and add the cream mixture. Cook on medium heat for 4-5 minutes and mash gently with a spoon, leaving some chunks of potato. The mixture will thicken slightly as the potatoes absorb the cream. Stir in the bourbon and the soft butter. Can be held and reheated. ← There’s No Better Place For The Holidays Than GW Fins!